The core principles and concepts behind this emerging approach of integrated land management. In the following interview, Terry Sunderland, a principal scientist with the Center for International Forestry Research (CIFOR) defines “landscape approach”– why we need one, and what scientists, non-governmental organizations and policymakers need to do to start implementing it. Q: What is a landscape approach? A: A landscape approach is essentially managing complex landscapes in an integrated fashion, in a holistic fashion, incorporating all the different land uses within those landscapes in a single management process. Q: Why do we need one? A: The reason we need a landscape approach is because of the history of segregating functions within a landscape. Whether it’s a conservation concession – a National Park, a community concession, community forestry really, or logging – and even through they are all really inter-connected socially and biophysically, they’ve been managed in isolation. And what we really need is a much more holistic approach to understand the interconnections between all these different land uses, but also to capture the complexity of those land uses, and make sure their management is integrated and simplified in a way that hasn’t been done before. Q: Why hasn’t it been done before? A: Although it’s a very simple process in many respects – on the ground it’s a very complicated thing to do. 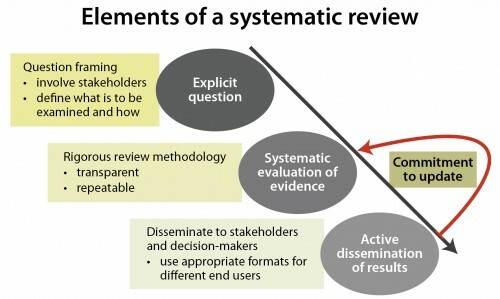 To get stakeholders in a room — who have very different views about what should happen in the landscape — to agree on a shared vision, on a shared view of what should happen in that landscape, is particularly challenging…And so coming to consensus – and that’s the real word about the landscape approach, is achieving consensus in the landscape, achieving consensus between all the stakeholders. Q: Can we always find win-win solutions? A: In fact, win-win solutions in most tropical landscapes have proved to be somewhat elusive — and the real tenet if you like — of integrated management of landscapes and the landscape approach is recognising for trade off and negotiating for trade-offs so that all stakeholders come to an agreement in which there are winners and losers – but you win more and lose less. That’s really the fundamental behind the landscape approach. Q: Why is adaptability important when managing landscapes? A: Things change daily, things change weekly, things change monthly, but you need to adapt to those changes — Often projects are constrained by their project document, this is what we’re going to do in the landscape, and that’s often followed almost to rote, but you can’t manage a complex landscape like that. You need to have the adaptability and flexibility to change as you go through the management process. Q: What is the role of scientists in the landscape approach? A: The role of science? We inform. And we’ve come up with a whole series of principles and guidelines, which enable the landscape approach to be implemented. It’s only a framework. We can’t take that forward. We’re providin the research that’s enabled that framework to be put in place, but it’s now up to other institutions, other agencies to take those guidelines and principles forward, to implement the landscape approach for themselves. Q: What can NGOs and government agencies start doing now to work towards a landscape approach? A: The places where things work on the ground, things are more effective, better outcomes are achieved, is where there are people talking to each other. Conservation organizations cannot work in a protected area alone without being cognizant of what’s happening around them. The same for logging concessions, the private sector – everyone needs to be talking to each other because everything interacts at the landscape scale. And the take home message should be – only through partnerships can the landscape approach work.